Menulog delivers for Satnaam Indian Eatery so you'll be able to track your courier on a map. Made from potato deep fried. Stuffed potatoe cakes cooked on the grill, topped with chaat sauces and garnished with chopped fresh onions, tomatoes and coriander. Samosa, crushed then topped with chickpea masala chaat sauces and spices chaat masala. Made from onion, spinach leaves and potato into chickpea batter and deep fried. Served with potato mixture, tomato sauce and salted and spicy water. Filled with yoghurt and tamarind sauce. Crispy pastries wrapped and topped with diced potatoes, chickpeas and chaat sauces. North Indian delicacy chickpea curry served with fried leavened bread. Soft fried vegetable balls simmered in a soy, ginger and garlic based sauce. Fresh cauliflower deep frying it with corn flour batter, touch of sweet chilli and soy sauce. Chunks of cheese marinated in spices and grilled in tandoor. Deep-fry coated cheese with capsicum, onion and sauces. Made from chickpea batter curry dip into mixed pakora. 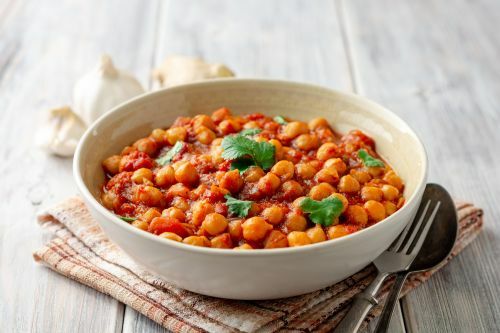 Chickpeas curry. Traditionally based with green chillies, onion, garlic, fresh cilantro, a blend of spices, chickpeas and tomatoes. Cauliflower and potato featured in a traditional curry seasoned with typical Indian spices. A semi-dry lightly spiced made with okra, onion and tomatoes. Marinated pieces of cheese are shimmered in onion and tomato based curry. Made from green mustard and fresh spinach simmered on slow heat especially The Labor of Love recipe. Mushroom, carrot, cauliflower and beans cooked in chopped onion masala. Smoked and mashed eggplant mixed with fresh tomato, onions, coriander leaves and blend of spices. Smooth yellow lentils are dedicatedly seasoned and topped with browned onion and hot chilli pepper. Black lentils and kidney beans simmered in a smooth sauce, cooked on slow flame, overnight on clay oven and finished with aromatic spices, cream and butter. Cottage cheese cooked in onion and tomato gravy with kadai masala and garnished with cube tomato and capsicum. North Indian semi-dry curry made with finger cheese in an onion, tomato or capsicum base. Cottage cheese scrambled and tempered with ginger, garlic and cooked in fresh creamy spinach. Mixed seasonal vegetables cooked with onion, tomato, ginger and garlic in a light korma sauce. This is a tounge twister dish of dream made from mushroom, dry fenugreek leaves, creamy and tomato gravy. Spinach balls curry. Smooth creamy spinach balls with fresh spinach leaves cooked with onion, herbs and spices. Sweet base. Mughlai dish made from cheese and potato balls stuffed with onion, tomato, ginger and garlic in a light korma sauce. Grinder fresh mint leaves mixed with yoghurt. Yoghurt with fried droplets of batter made from gram flour. Yoghurt mixed with onion, tomato and cucumber. Includes onion, cucumber, tomato and carrot. Long grain basmati rice cooked to its perfection. Basmati rice fried with cumin seeds. Made from corn flour dough. Punjabi flatbreads made with whole wheat flour, gram flour and spices. Leavened plain flour bread baked and cooked in a clay oven. Flaky buttered leavened bread cooked in a clay oven. Naan lavishly flavored with garlic butter. Crispy breads stuffed with fresh spinach and flavored with garlic butter. Soft and crisp breads stuffed with spinach and cheese mixture. Soft and chewy Indian leavened bread cooked in oven flavored with garlic and butter. Multi-layered Indian flatbread prepared with wheat and plain flour. Crisp and soft leavened flatbreads stuffed with a spiced potato stuffing. Leavened flatbreads stuffed with a spice cottage cheese filling. Soft spongy coagulated milk cakes floating in sweet milky syrup. Seasonal. Grated carrots cooked together with sugar, unsalted butter and nuts.